It’s no secret I love to eat when I travel. 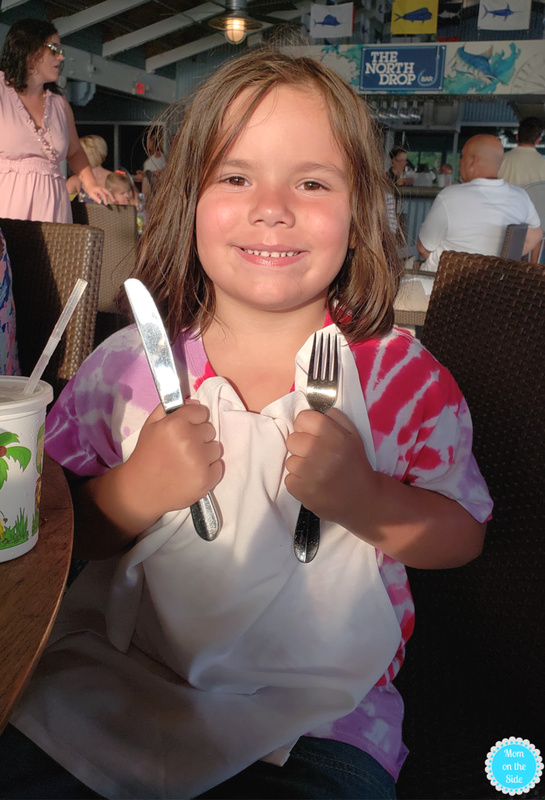 After visiting Panama City Beach with my preschooler I learned she doesn’t just look exactly like me but she too enjoys eating while traveling. She may have plugged her nose when a few times when she caught wind of fish smell (she’s a chicken girl!) 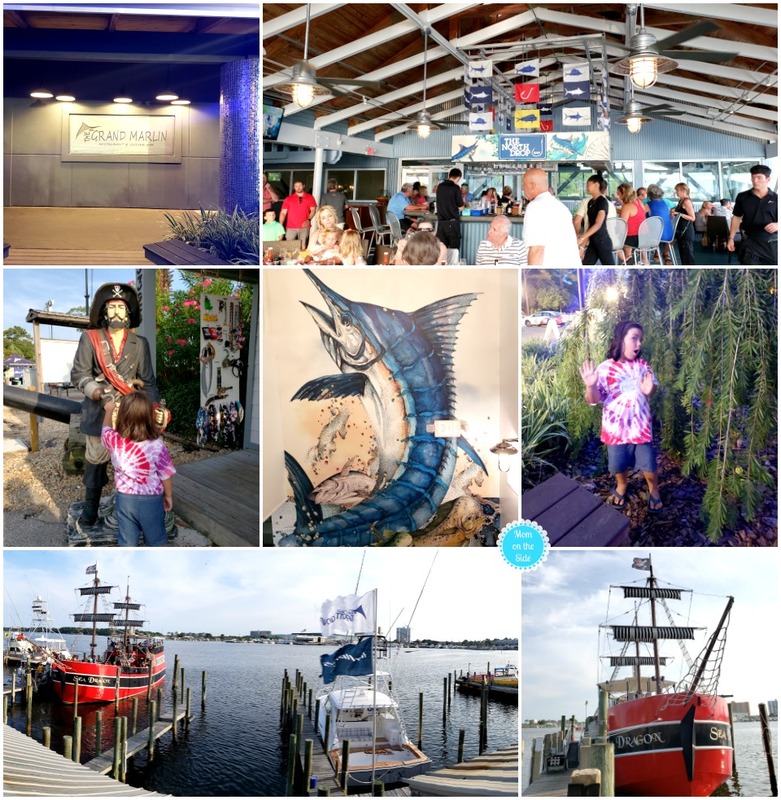 but she was a trooper at each of the unique Panama City Beach restaurants we tried! 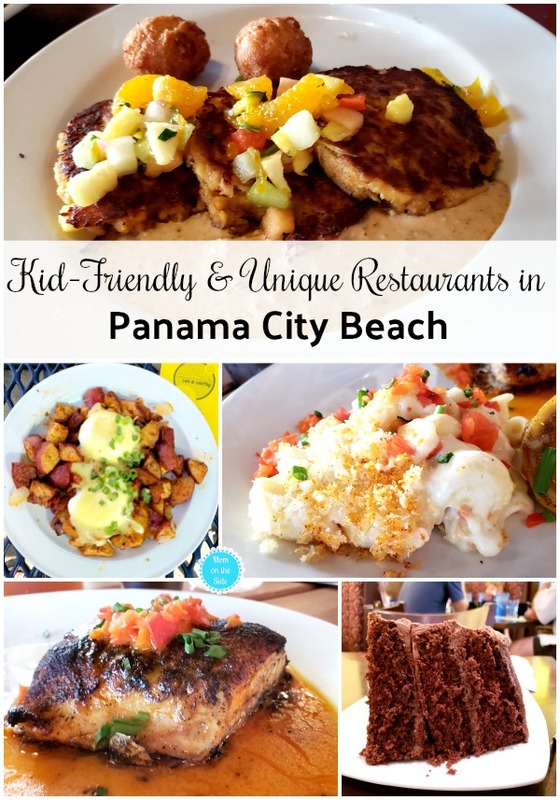 During our trip we dined at four kid-friendly and unique Panama City Beach Resturants you must eat at. Not just for the amazing food but also for the environment and experience! 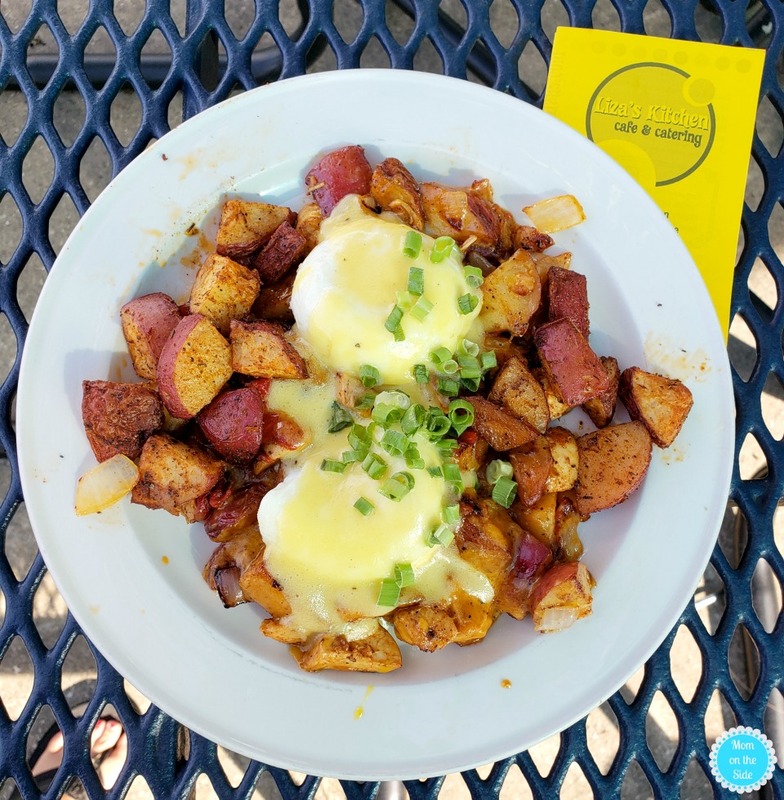 Check them out below and drool over the dishes we tried…it’s okay, I did! 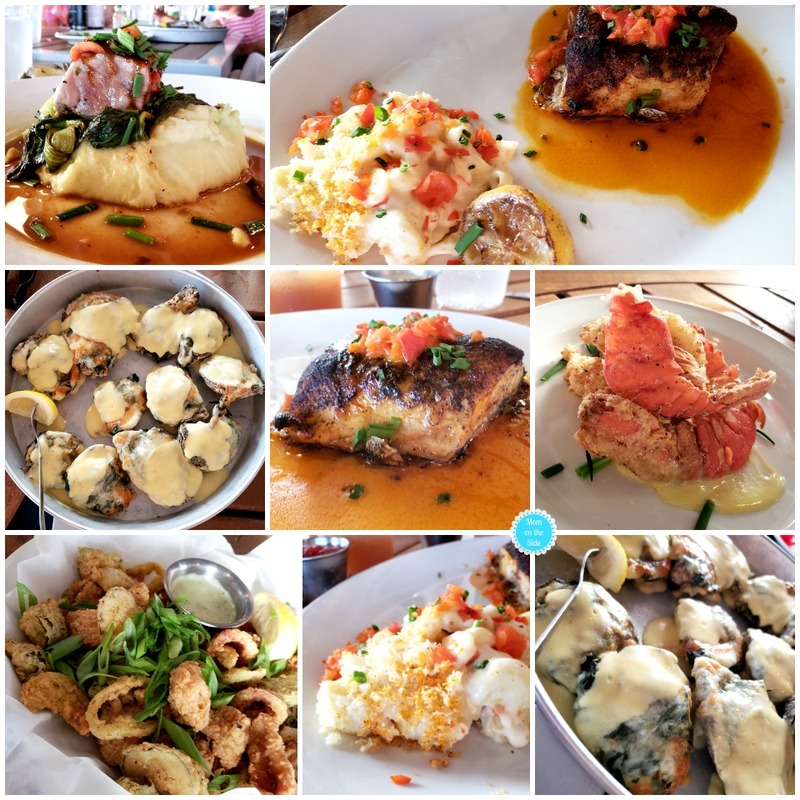 While in Florida I devoured the best Rockefeller Oysters and Red Snapper I’ve ever had. 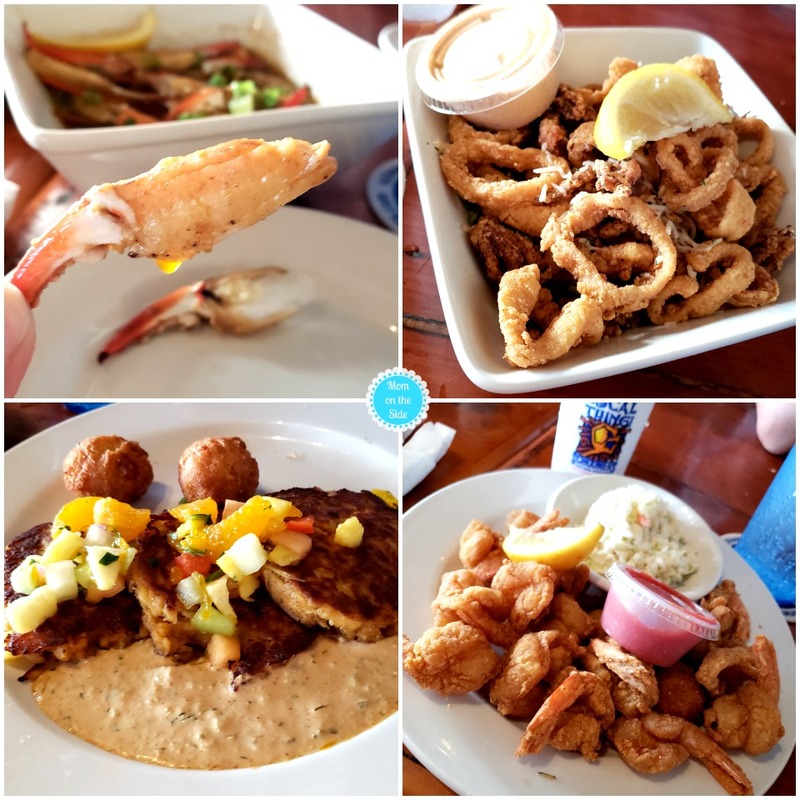 Located at Lighthouse Marina on Grand Lagoon, The Grand Marlin in Panama City Beach is a must visit for the food and location. First, the food because oh my gosh was it to die for. 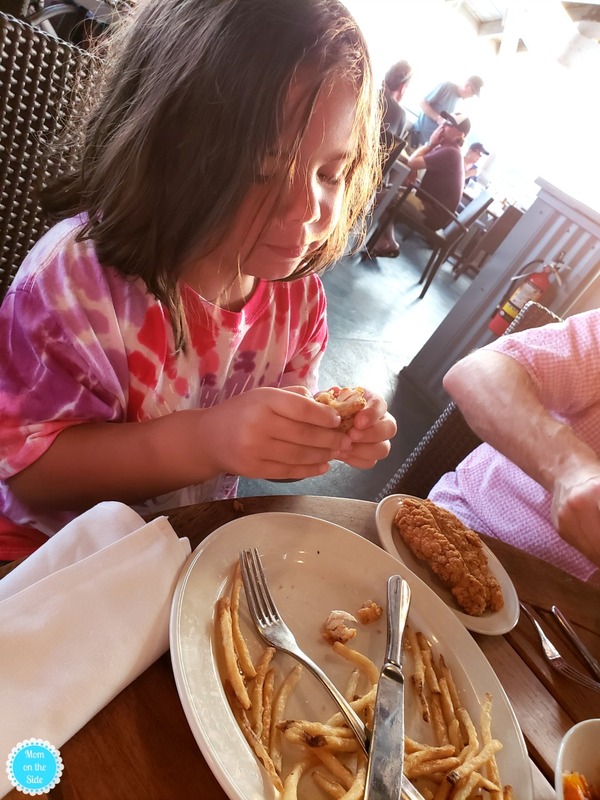 There were only two things that were not fresh on the menu and one of them was ice cream so if you are looking for the best fish this is your place! The Lobster Truffle Mac and Cheese is also amazeballs as are the cocktails! I’ll be honest, I held in the cackles when I read “The Taint” on the cocktail menu but opted for “The Grand Marlin” and had two because they were YUM! We sat upstairs with open windows so you could feel the breeze and see the lagoon while you ate. There happened to be a fishing tournament going on the night we visited and it was a lot of fun watching the boats and yachts come in with what they hoped was the biggest catch of the day. 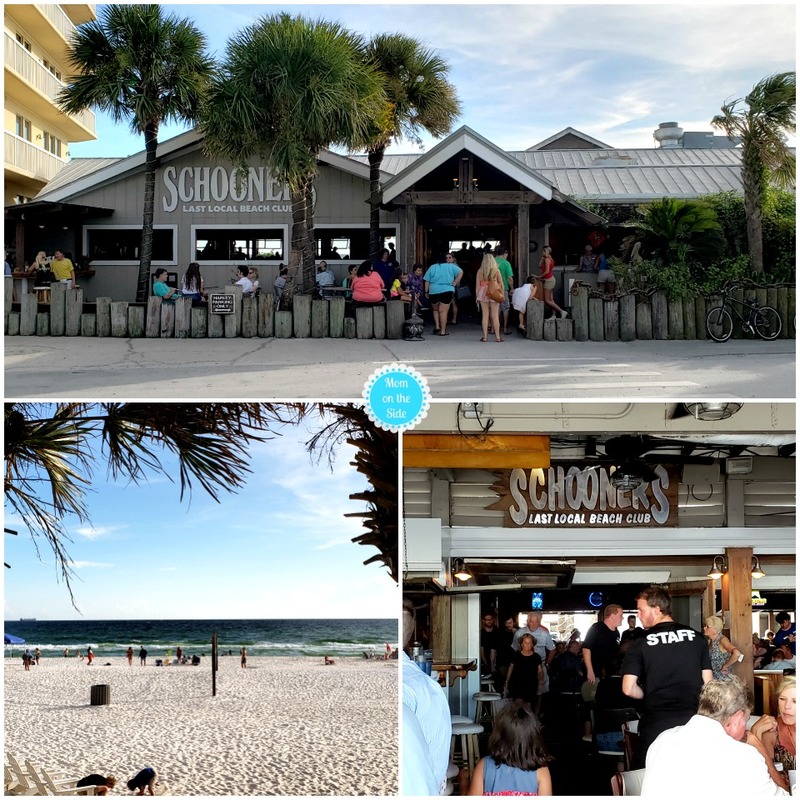 Another delicious fish and seafood restaurant in Panama City Beach is Schooners. 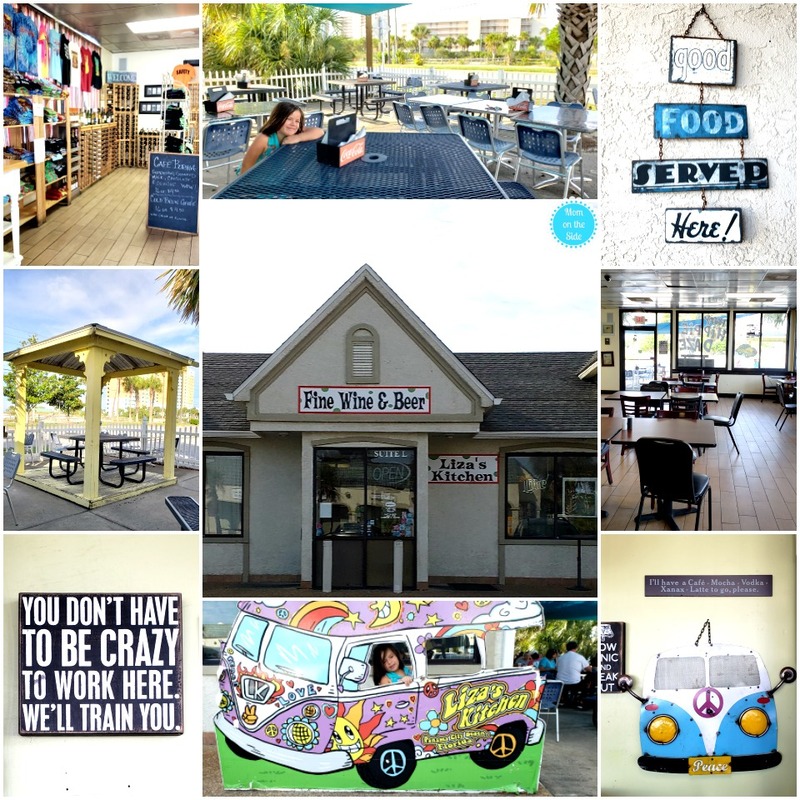 Known as the “Last Local Beach Club” it is located on Gulf Lagoon Beach. 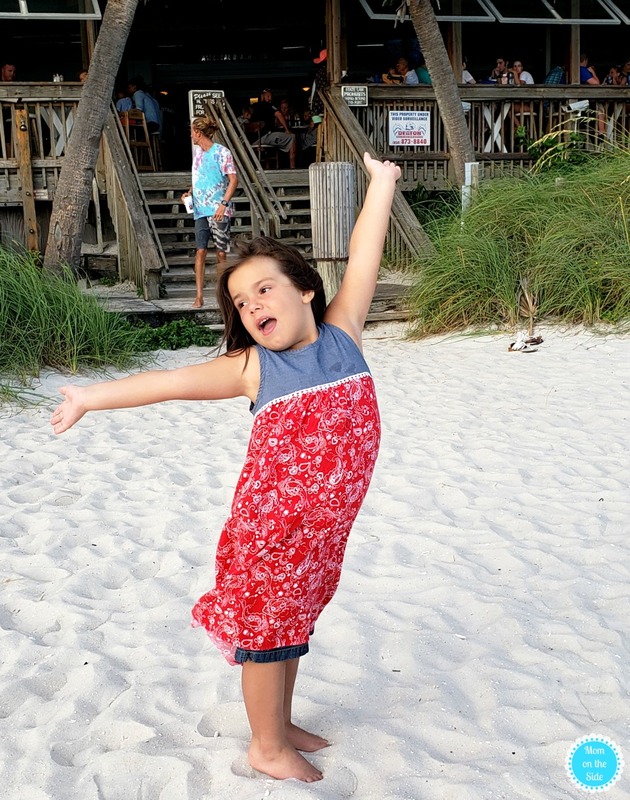 Yep, you can kick off your shoes after dinner and enjoy the sand and water! They also shoot off a cannon every night at sunset but let’s talk about the food! Fried Shrimp was so tasty and fresh at Schooners and I could have eaten a dozen hushpuppies if I had them in front of me. SO good! I also recommend a cocktail here and you can order them in souvenir cups to remember your waterfront meal by. 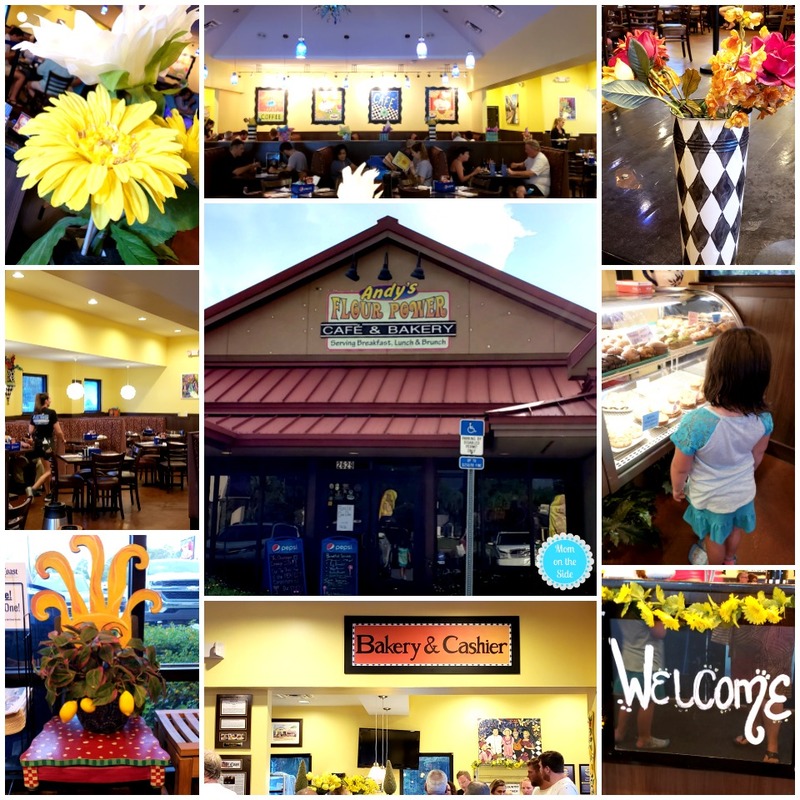 When you step into Andy’s Flour Power, voted best cafe and bakery in Panama City Beach, you are greeted with brightly colored flowers throughout the restaurant as well as a bakery with delicious smells floating from it. 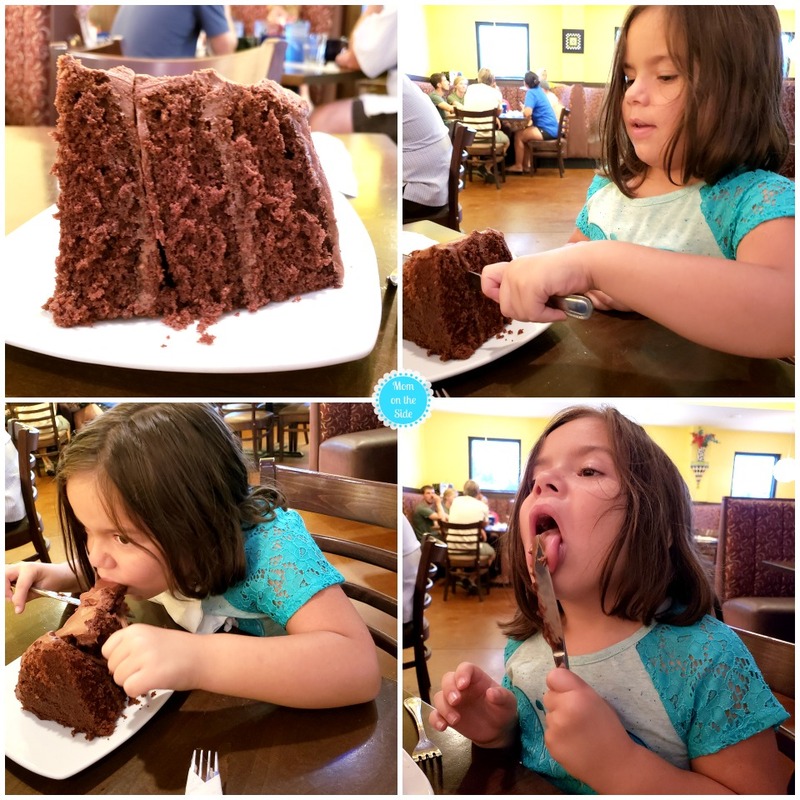 Breakfast at Andy’s Flour Power may start with a giant piece of chocolate cake if you have your 5-year-old with you and she spots the bakery first. It’s vacation so why not?! Trust me, she got more than she bargained for but that didn’t stop her from digging in. 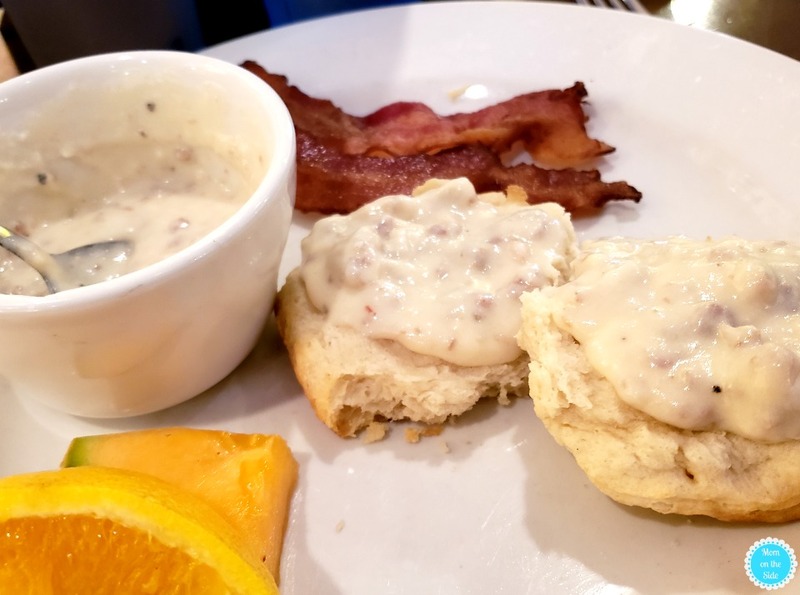 I, on the other hand, opted for a more traditional breakfast dish, biscuits and gravy. It hit the spot perfectly! 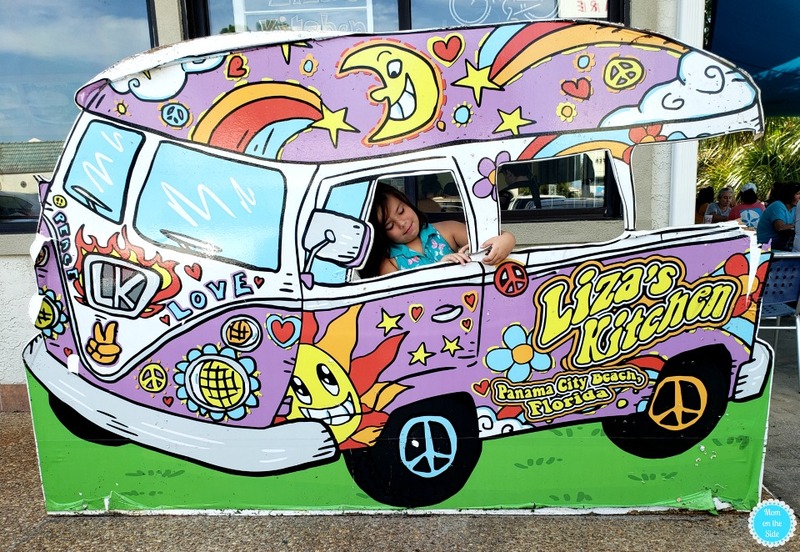 Nods to Grateful Dead all over, Liza’s Kitchen is a must for breakfast in Panama City Beach. Everything is homemade from scratch and there are all sorts of options for breakfast, brunch, lunch, and coffee. Not to mention the laid back and relaxed vibe you get to enjoy it all in! I highly recommend the Hippie Hash with chicken, potatoes, veggies, eggs, and cheese. 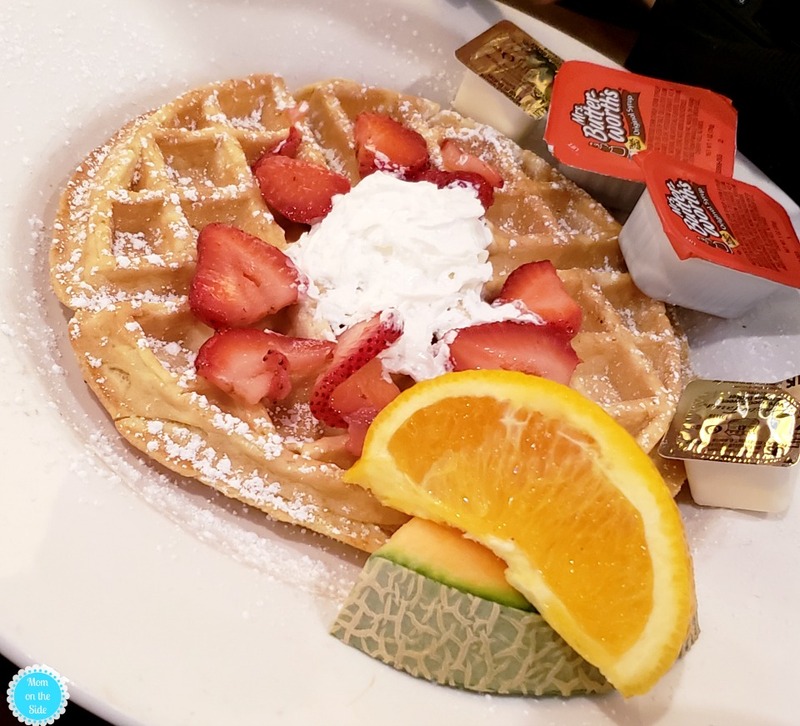 A meal that will fill you up with deliciousness so you are ready for a day filled with adventures. 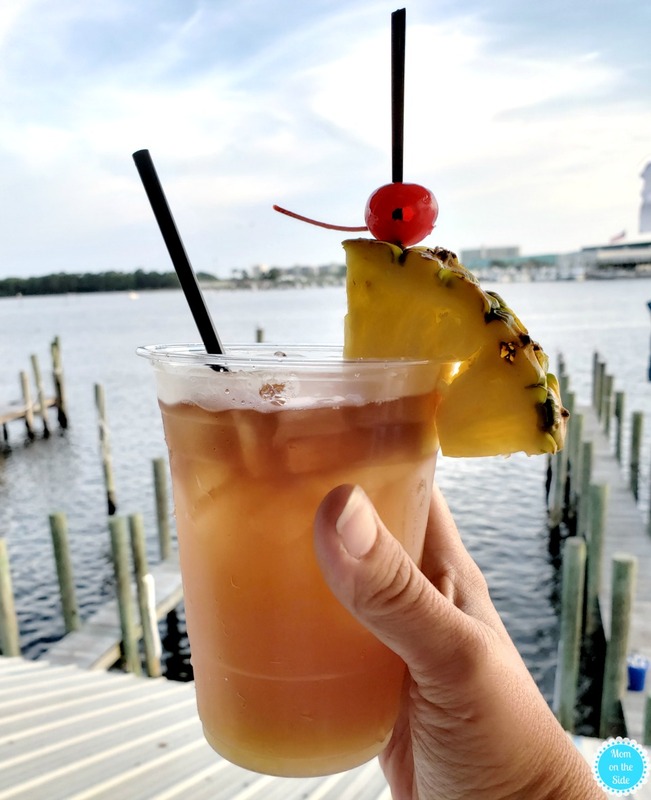 Give one of these four delicious and unique restaurants in Panama City Beach a try the next time you are in the area. You won’t be disappointed!